For over 20 years, O’Connor has provided property tax consulting services in the Cochran County Appraisal District and has continuously produced results. We know the processes and appropriate contacts at Cochran County Appraisal District. Our experience has allowed us to compile sales and unequal appraisal data consistent with the format expected by the Cochran County Appraisal District and the Cochran County Appraisal Review Board. We take the fight to the Cochran County Appraisal District for you every year, whether your value is up, down or does not change. Morton, Whiteface, Bledsoe homeowners, commercial property owners and business owners hire O’Connor for property tax appeals because of our consistent results and aggressive attitude. 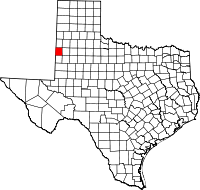 Our property tax consultants have the experience in the Cochran County Appraisal District to reduce Morton, Whiteface, Bledsoe property tax assessments. Research Tip: A great resource to search Cochran County commercial property valuations.